All captions should be added to an image (photo, chart, graph, table, etc.) using the PressBooks caption button. ( Figures and tables should be named separately.) Doing this places the caption underneath the image, be it a figure or a table. In general, an image should be no wider than 500 pixels, and the Height should be no bigger than 600 pixels. Use the Custom Size feature to adjust this, if needed. Use “Align” to position the image. Make sure the “Link to” dropdown list points to “Media File”. Adjust if needed. There are a couple of browser add-ons that can help you capture the correct information for web-based Creative Commons licensed material. If you work with CC material often, it might be useful to take a look at these tools as browser add-ons to make attributing content easier. When adding the caption, be sure to use a numbering system that incorporates the chapter number and image sequence to the Figure or Table label. After numbering the Figure or Table, provide a description of the figure or table. As a general rule, do not use the title given to the image by the artist for your description. 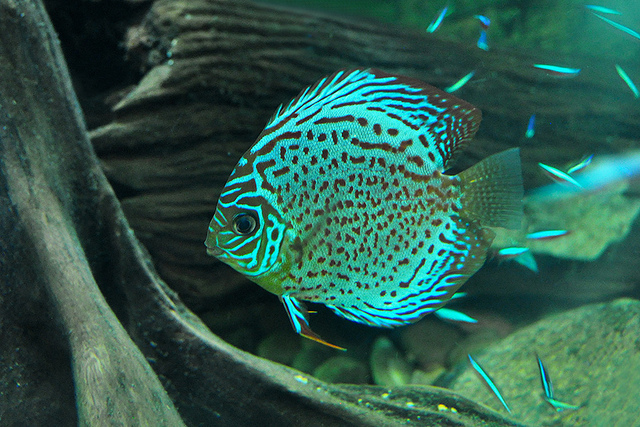 There should be no punctuation (period or comma) between the label/number (Figure 4.3) and description (The green discus fish shown in its natural environement). b) Example with number and label: Figure 4.3 (The third image in chapter 4.) See sample below. Figure 4.3 The green discus fish shown in its natural environment. When adding images (photo, chart, graph, table, etc. ), the question often arises: When should I cite? and When should I attribute? The rule-of-thumb is you should use an attribution for photos or drawings. Whereas, a resource that contains words (table, graph, chart) should be cited and only if the words from this resource are used and placed within a newly created structure, i.e. you make a new table, graph or chart. Cite an image as you would text within the body of your work using the in-text method designated by the citation style chosen for your book. Place the in-text citation (or citations, if drawn from several sources) at the end of your resource preceded by the words: “Data source:”. See examples below. In these examples, the citations are highlighted in blue. It is important to understand WHO to give credit to for an image. Frequently, especially for a work in the public domain, it is not the artist or photographer who created the original work. Instead, you must attribute the individual who created the version of the work that you are using in your book or educational resource. In other words, you are giving attribution to, for example, a photograph of an original painting. Below is a photograph of the famous painting, Mona Lisa, by Leonardo da Vinci. In the attribution statement, credit is given to the photographer, not da Vinci. Mona Lisa: painting by Leonardo da Vinci; photograph of painting by Dcoetzee. This image was found on Wikimedia Commons. Below is information about the “author” or photographer. 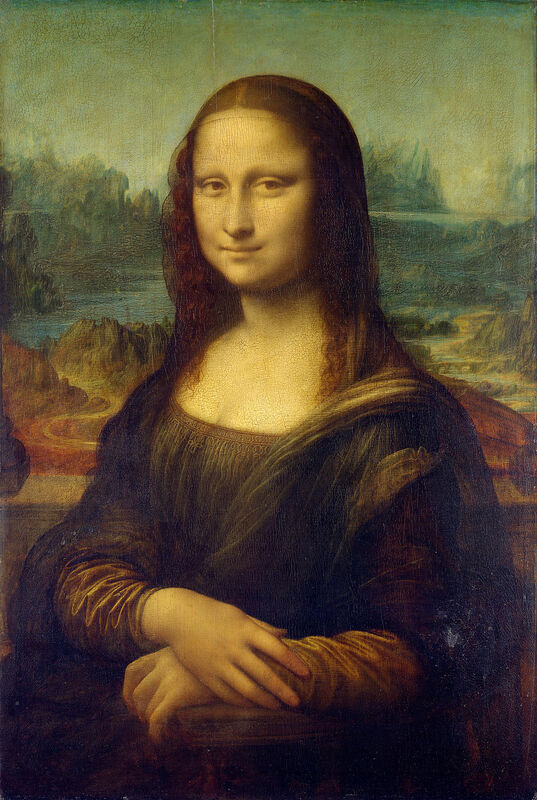 The attribution statement should say: Mona Lisa by Dcoetzee is in the public domain. If using images from a government publication or website, see Citing Government Websites and Publications for details about attribution. The caption for each image should only contain the figure or table label and number, and description. This keeps the caption clean and uncluttered. The format for each attribution in the list are noted below. Sometimes it is significant to the textbook subject matter that the source of an image, e.g., a museum collection, be noted as part of the attribution statement. If required and available, a source statement can be included at the end of the attribution statement. Source statement example: This image is available from the Toronto Public Library under the reference number JRR 1059. Full attribution statement with source statement: Toronto Rolling Millspublic domain. This image is available from the Toronto Public Library under the reference number JRR 1059. 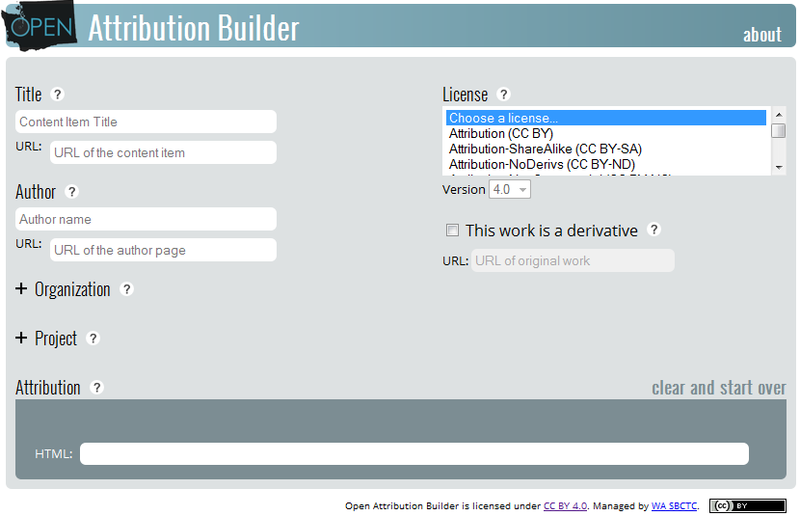 Use the attribution layout recommended by Creative Commons. Example: Figure 4.3 Dallas – Green Discus Fish by Neil Bird is used under a CC-BY 2.0 license. Example (when image has been modified): Figure 4.3 Dallas – Green Discus Fish by Neil Bird has been modified (cropped) and is used under a CC-BY 2.0 license. Example: Figure 13.1 Walter Cronkite by NASA/Bill Ingalls is in the public domain. Example (when image has been modified): Figure 13.1 Walter Cronkite by NASA/Bill Ingalls has been modified (cropped) and is in the public domain. Example: Figure 13.1 C.P.R. Mount Stephen House, Field, BC, 1909 by Musée McCord Museum has no known copyright restrictions. Ensure that there are no restrictions in the Rights Statement that would not comply with a CC-BY license. For example, if a photo does not allow commercial use, then do not use the image. Attributions for images can be added manually, as described above. However, there are also tools that can help you with this task. One tool, called Open Attribute, is a browser add-on. After installing this add-ad, a small CC logo will appear in your address bar when you go to a web site that has CC licensed content on it (and – importantly – the correct metadata). a dropdown menu will appear that allows you select and then copy the attribution for that item in either HTML or plain text. it responds to the correct metadata connected with CC licensed content. if a webiste does not use CC metadata, this add-on will not work. This tool was built by the Washington State Board for Community and Technical Colleges and can be found at OPEN Attribution Builder. It is simple to use and provides descriptions of each field through the “?” icon. Images: Captions, Attributions and Citations by BCcampus is licensed under a Creative Commons Attribution 4.0 International License, except where otherwise noted.